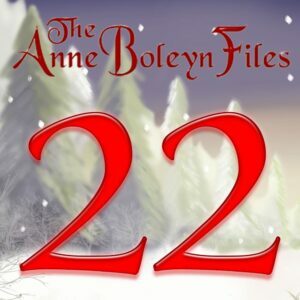 It’s also time for another Tudor treat from the Anne Boleyn Files Advent Calendar. Today’s treat is from historical novelist Janet Wertman. Thank you so much to Janet and all the other authors, historians and bloggers who have contributed Tudor tidbits for our calendar. We are loving them! To enjoy today’s treat, and any you have missed, just click on the number here in this post or use the link in the cover image of this website. Thank you Janet for such a vivid description of New Year’s at the court of Henry and Catherine. Though not implicitly stated I feel Edward Seymour already starting to position himself into a place of greater power. Oh yes…he spends the whole book positioning himself into a place of greater power!! I enjoyed the extract and yes I agree with Michael, he was the next King to be’s uncle, he must have been very hopeful of the near future, both he and his brother were ambitious, in fact it was a normal state of affairs amongst the noble families at court, it was a power struggle to survive and they were all eager to get their foot on the next rung on the ladder, however their favour’s were entirely dependant on the King, it lasted as long as Henry was pleased with them, their sister had given the King his longed for prince, Edward and his brother Thomas hoped to rule through that prince when the old King died, Henry aware of men’s ambition no doubt knew what thoughts went through their minds, Edward Seymour did not know it but he was to die a traitors death and his hapless brother, their overwhelming ambition would be their ruin, soon as Lord Protector he would be the most powerful man in the kingdom but he was to topple the same way the vivacious young queen did, how many of the company who took part in the New Years celebrations were to lose their heads, it was a frightening thought when we consider how precariously people’s lives hung in the balance then, how easily a vibrant life could be snuffed out as suddenly as a candle flame. New Year 1541. Edward Seymour has the young Prince with him and is certainly moving into position as the Uncle of a future King. He is central to this story and we see Christmas and the New Year through his eyes, rather than those of Henry or his new Queen, the young and vibrant Kathryn Howard. Henry is still in love with his young bride and dressed magnificently in silver and white and looking content and happy. We see the decorations from the green trees and firs and the holly berries and the Court is described as being as a forest. We see the ex Queen, Anne of Cleves dancing with Queen Katherine and the gentleman, Thomas Culpeper dancing with her as Henry watches. Edward is at the heart of all of the celebrations and his ambition is starting to show. Edward and Thomas Seymour definitely pushed themselves forward for everything as the Uncle of the future King and they also influenced Henry’s decision to oust the old noble families. I believe Edward had something to do with the fall of the Duke of Norfolk from behind the scenes. He was a modest Protestant but he was ambitious and he would show that by seizing the Protectorate in defiance of the Will of Henry Viii who ordered a Regency Council of 14 people with equal status to rule for his son. He went as far as making himself the English equivalent of Regent even though he used the title Lord Protector. Both brothers went too far in the early years of the reign of Edward vi and both ended up on the block. Even as he watched the scenes at Christmas in this article, he watched as political alliances rose and fell and worked carefully to build up his own network of allies and manoeuvered those who opposed or who may oppose him, quietly out of the way.